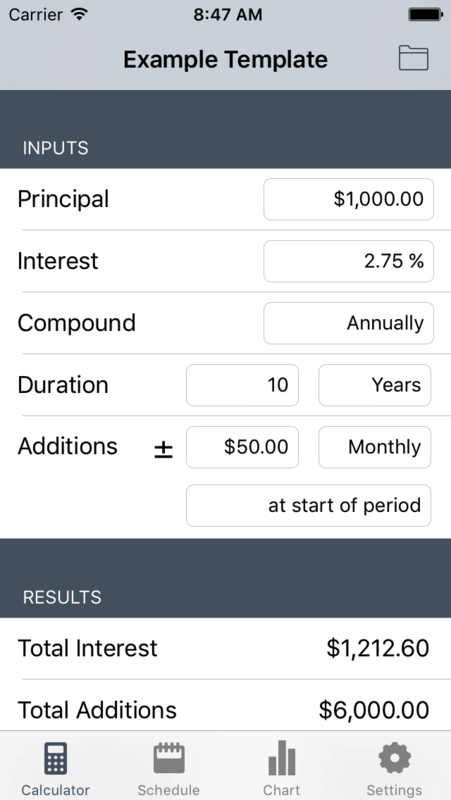 A compound interest calculator, very easy to use! 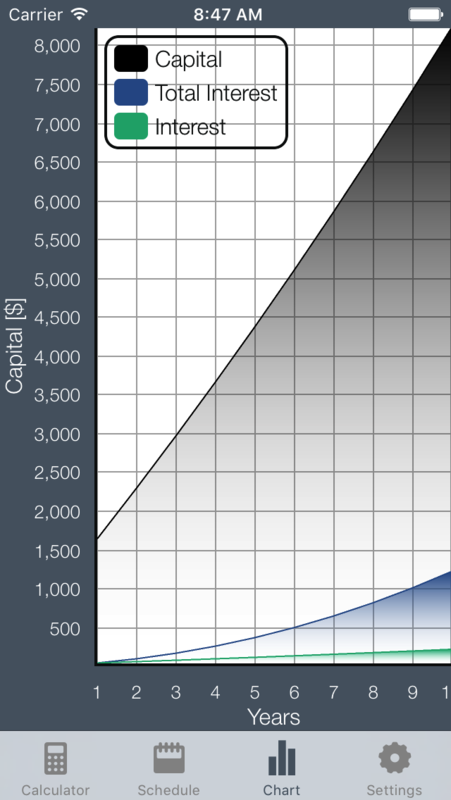 Compute compound interest with variable additions, frequency and duration. 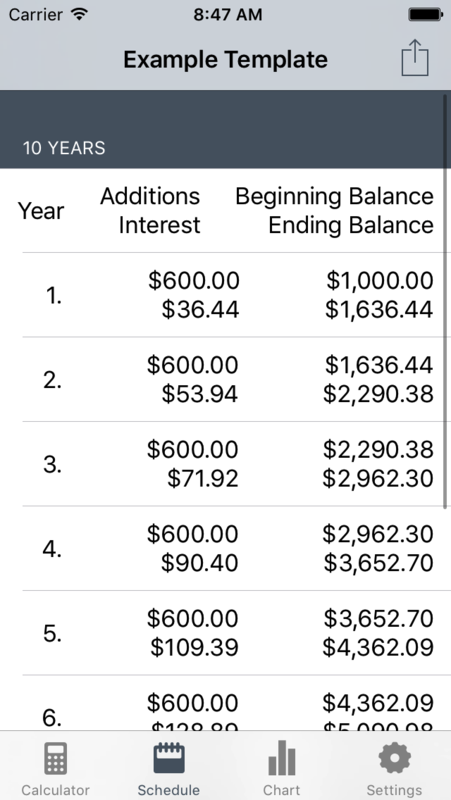 Use it to double check holdback payments / insurances or to create your amortization schedule. 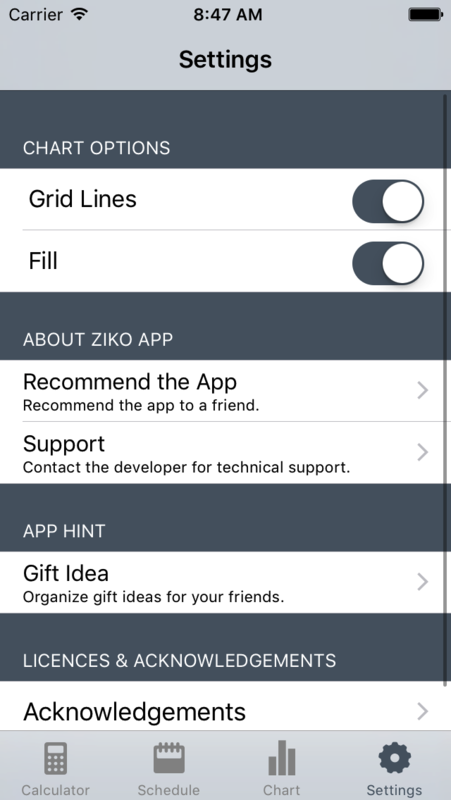 Export the results in other apps or visualize it in the app.